This past fortnight has been a fairly big one for us, with 3 different app projects being approved by Apple (and one of those on Google Play) and subsequently released to the public. We have only released this many apps in such a short period a couple of times before, so we're pretty relieved and have allowed ourselves 20 minutes off before we move on to the next batch of projects already under way and scheduled for release in the next few weeks. This is a Business Intelligence (BI) app used by management teams within large corporate entities to access their Cognos Business Intelligence data using the services of our client (Catapult BI). It's an iPad-only app, which uses Dropbox as the cloud storage service for the data (documents in various formats such as PDF, DOC, and MHT). The documents are then then shared with authorised users and can be previewed and downloaded for later (offline) review at will via the Reports2Go app. 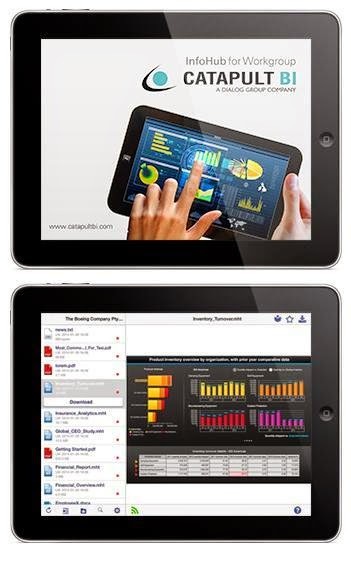 The app integrates with other BI apps such as IBM's Cognos mobile app to present interactive BI content generated by the Cognos system. This is a Real Estate Agent's best friend. It allows the agent to create and manage properties for which they hold open house events, and then allows prospective property buyers to register their attendance and interest at those open house events. Marketing and Offer Management is also an important part of the overall system designed and developed by Creative Intersection's team of web and mobile application developers. Property numbers are limited for the free account version, with an unlimited number of properties able to be created if the agent subscribes to the Agent Genie service online (using the ChargeBee subscription system). The Agent Genie app is a Universal iOS app, meaning that it works on iPhone and iPad, and the online administration interface runs via any web browser. 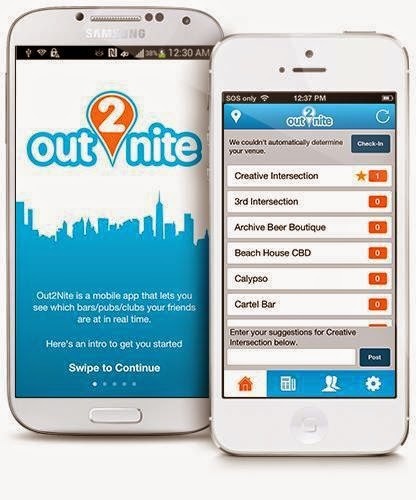 Out2Nite is a social networking app for iPhone and Android handsets, and uses a central database and local GPS/geolocation technology to allow users (signed in using their Facebook profile) to be notified when their friends are at the same venue (bars, pubs, etc) as themselves. If you have an idea or if your business needs a specific mobile tool, give us a shout.